Heba is the Head of Marketing for IBM Watson Customer Engagement Business Unit in Middle East & Africa. In her capacity, she leads the strategy development for her unit, as well as the design and implementation of marketing and communications activities that encourage her peer marketers to adopt marketing cognitive technologies in the region. Prior to this role, she has led a number of marketing leadership roles at IBM in Egypt and the UAE. 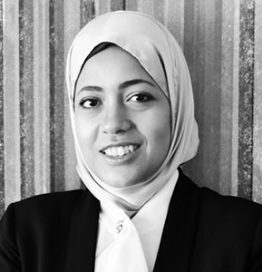 Heba believes she has a cool job, that sits right at the intersection of marketing and technology, and is excited about the rising focus on customer centricity in the Middle East and Africa. She holds a Bachelors in Business Administration, with concentration in Marketing, from the American University in Cairo.